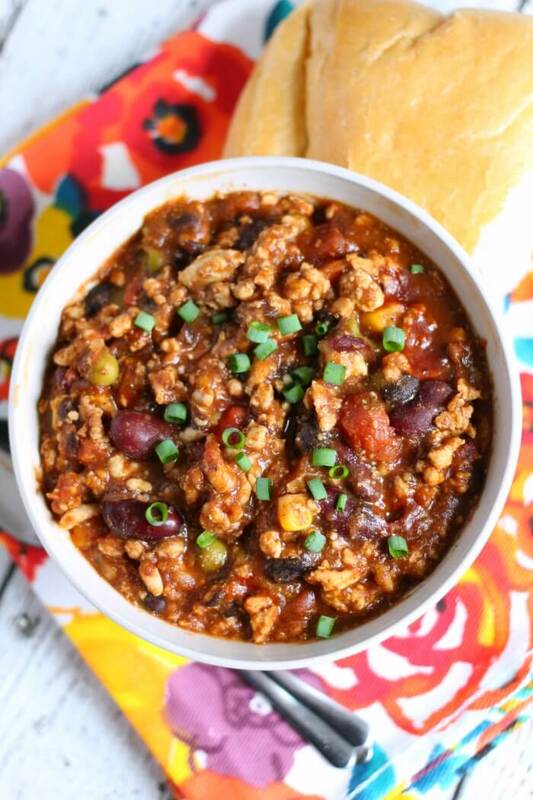 If you’re looking for a healthy, filling and delicious dinner, this turkey chili is exactly what you need! Turkey chili is one of my favorite chili recipes. I love turkey chili because there’s no guilt! Made with ground turkey breast, beans, veggies, and spices it comes together quickly and is great for last minute meals. Serve the turkey chili with your favorite salad recipe and since you were so good, don’t forget to follow it with dessert! Diced tomatoes – canned diced tomatoes work great. 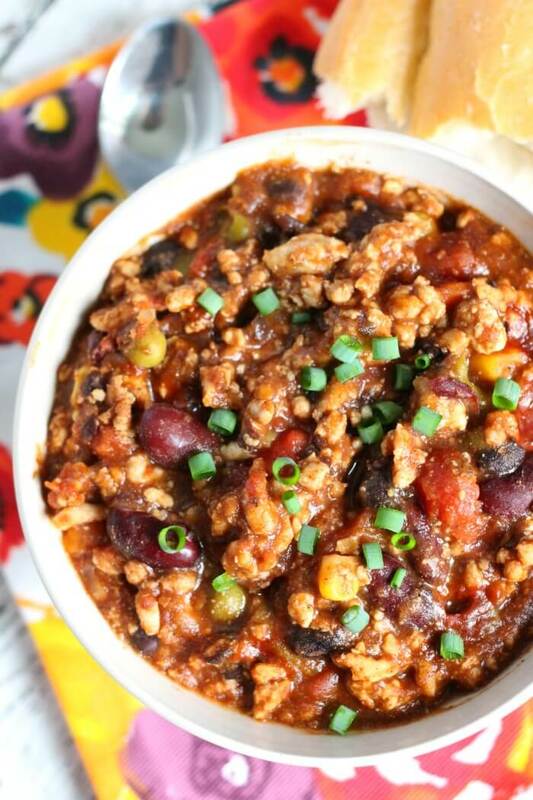 This turkey chili is healthy and delicious, but also ridiculously easy to prepare. No need to create more work for yourself. Tomato paste – if you’re on Weight Watchers, this is he ingredient that will make the turkey chili 1 point as opposed to zero points. Don’t skip it, it’s also what gives the chili a deep rich flavor. 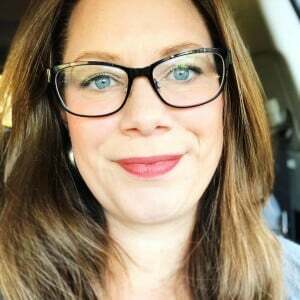 Chili seasoning – you can make your own chili seasoning, but honestly I think McCormick does a great job, so I buy the mild chili seasoning packets! 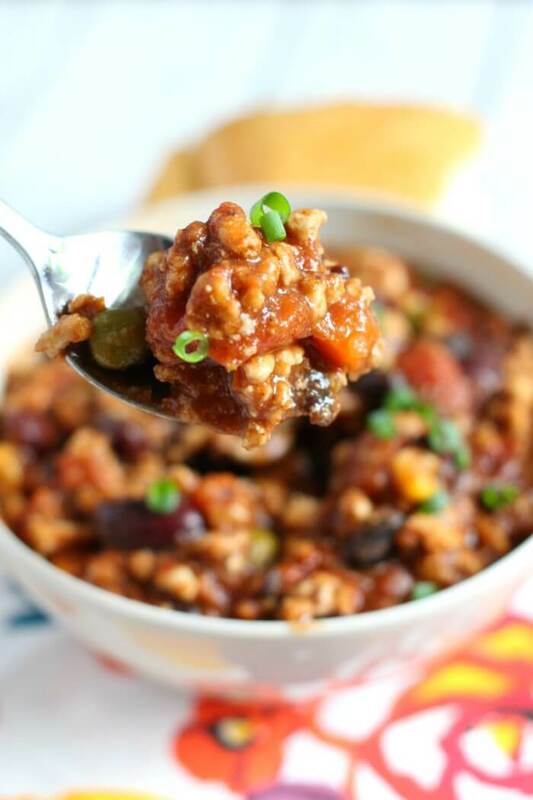 Ground turkey breast – This turkey chili is delicious if made with regular ground turkey but also delicious and incredibly healthy if made with ground turkey breast. Kidney beans – just grab a can, drain, and dump it in. Black beans – also used canned! Mixed veggies – used canned for this as well, but you could use frozen or fresh too. It was a mix of peas, corn, carrots, and green beans. Garlic – minced garlic, fresh, canned, or from a tube. It’s all yummy. Turkey chili is super healthy! It’s full of lean protein, fiber and antioxidants from the veggies. 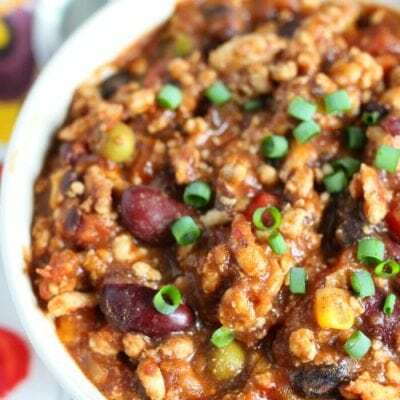 Turkey chili is the perfect snack or dinner that is both filling, delicious, and easy on the waistline. My husband and kids had no idea it wasn’t regular old chili! What to serve with turkey chili? Turkey chili goes great with an apple walnut salad and homemade sweet cornbread. Sometimes I like eat my turkey chili over a baked potato or even mashed potatoes! You can also watch us make this turkey chili on YouTube! Make sure to tune in for all our live cooking shows! Brown turkey breast in a large pot. Add remaining ingredients and simmer on low for at least 15 minutes. 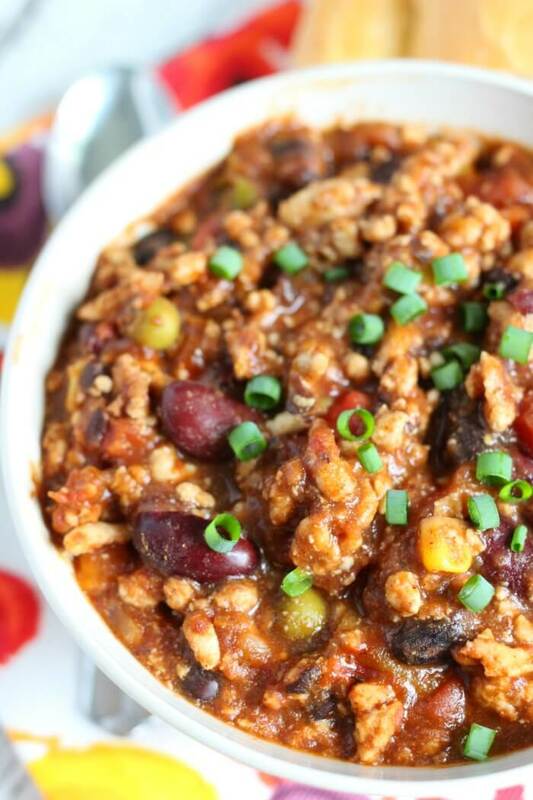 This healthy turkey chili is only 1 weight watchers point per serving! I love turkey chili! This would be such a great meal to make for dinner! 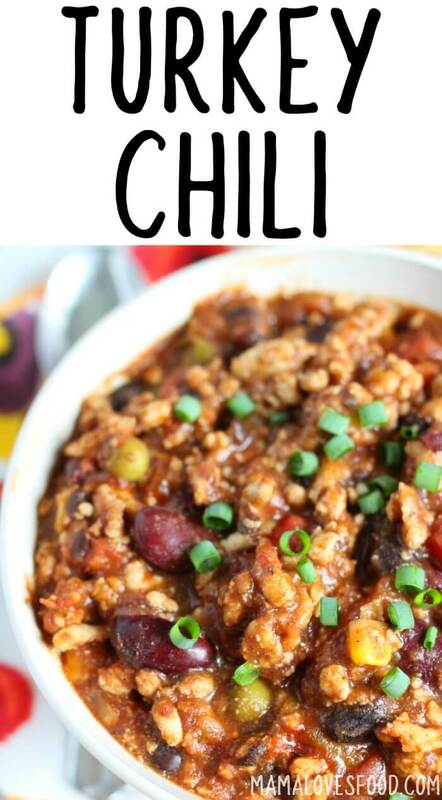 Love this turkey chili recipe! It’s one of my go-to dinner recipes for busy nights.